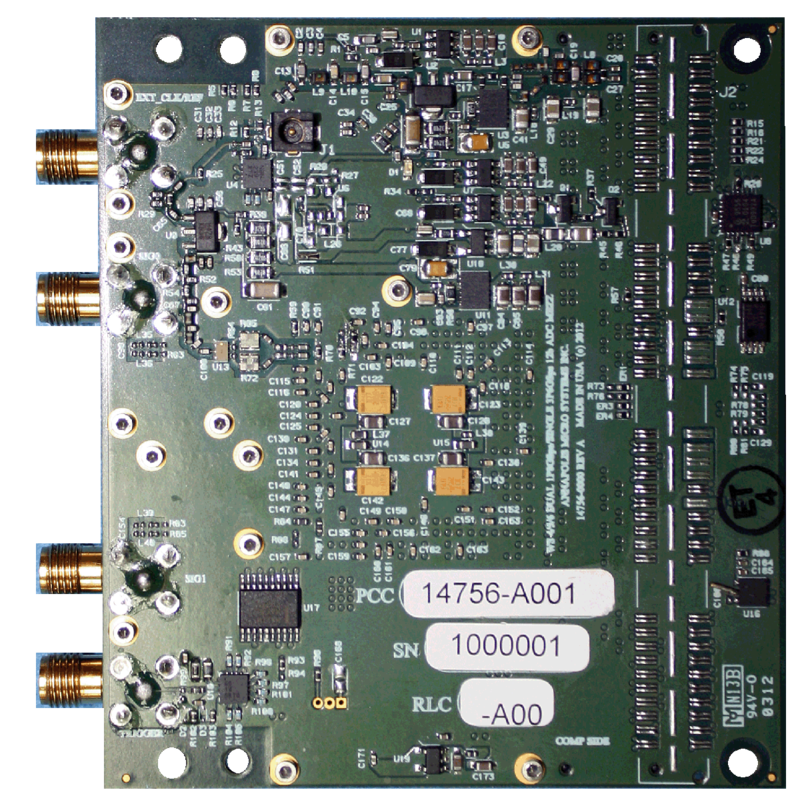 This high performance dual channel 2.0/1.8/1.6GSps or single channel 4.0/3.6/3.2GSps ADC with three input bandwidth options, internal sample clock options and internal 10MHz reference clock options. 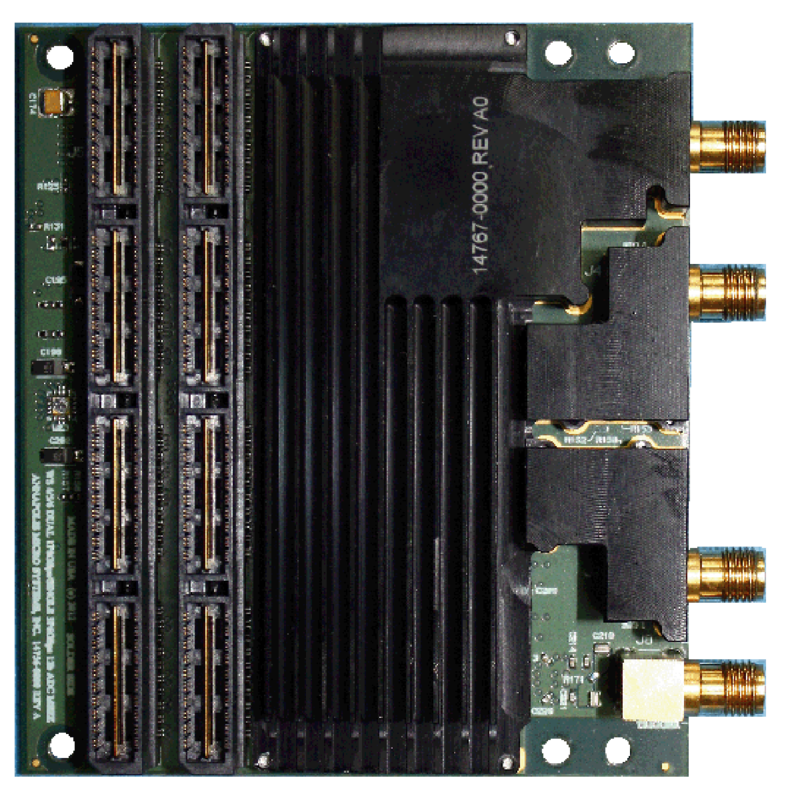 Compatible with WILDSTAR™ 7, WILDSTAR 6, and WILDSTAR A5 mainboards. Heat sink (VME/VXS/VPX/FPGA Blade) or heat sink with fan (PCI-X/PCIe) for ADC cooling. Motherboard with mezzanine card(s) installed occupies a single VME, VXS, VPX, Blade or PCI slot.